A great idea for Halloween for Día de Muertos (Day of the Dead)! 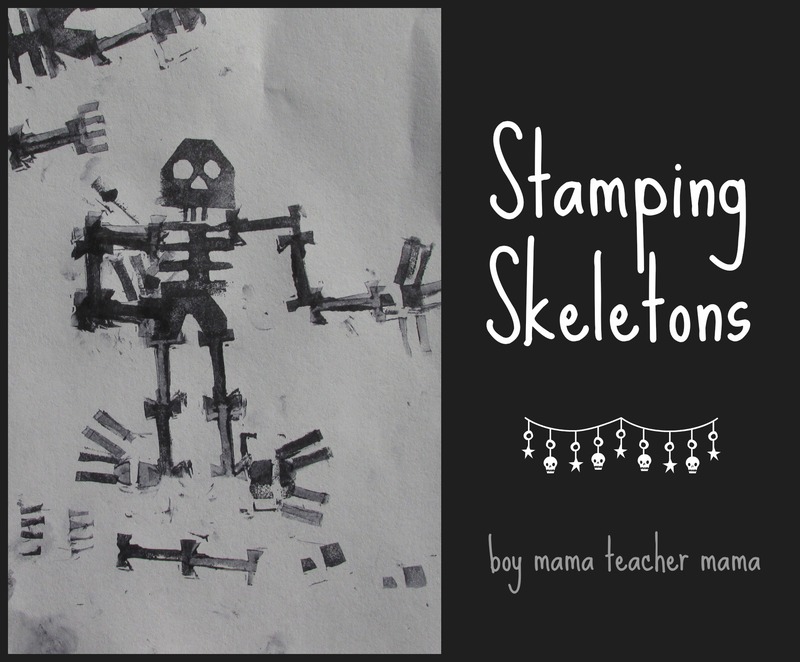 I saw this idea for Stamping Skeletons the other day on Mr Printables’ blog and knew I had to try it. 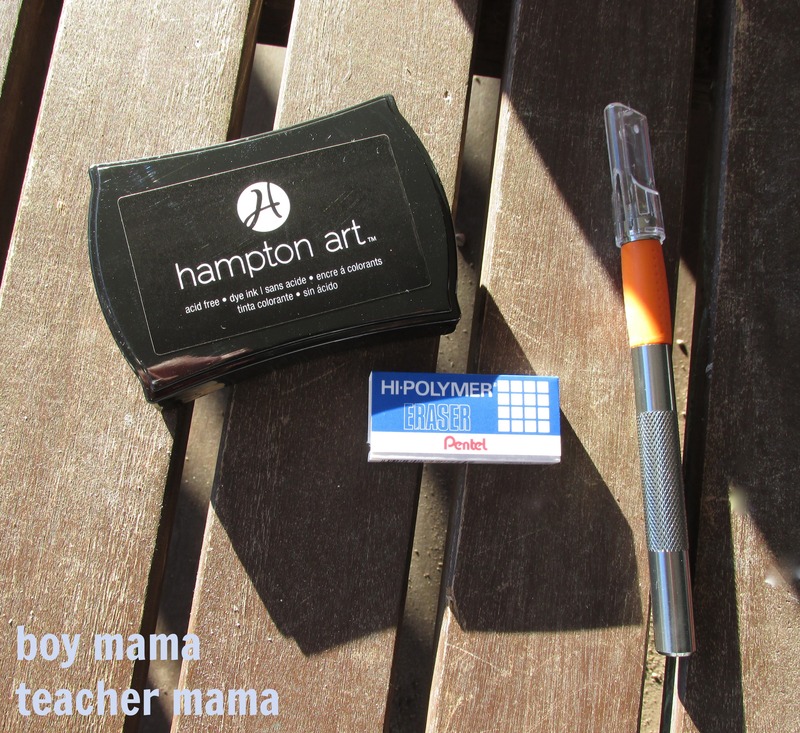 While at the craft store this afternoon, I picked up the materials I needed and set to work the minute we got home. 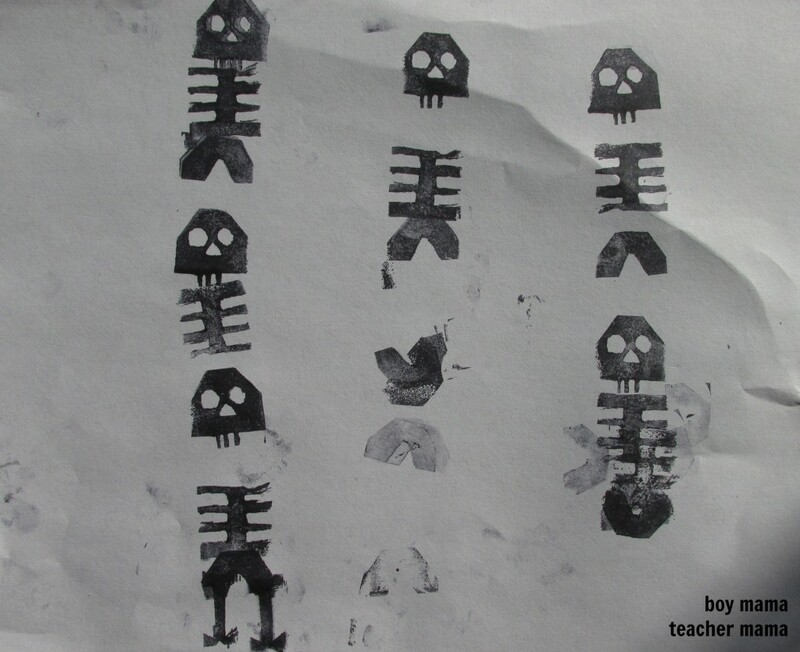 Materials: A sharp blade, a white eraser, a pen and a black stamp pad. 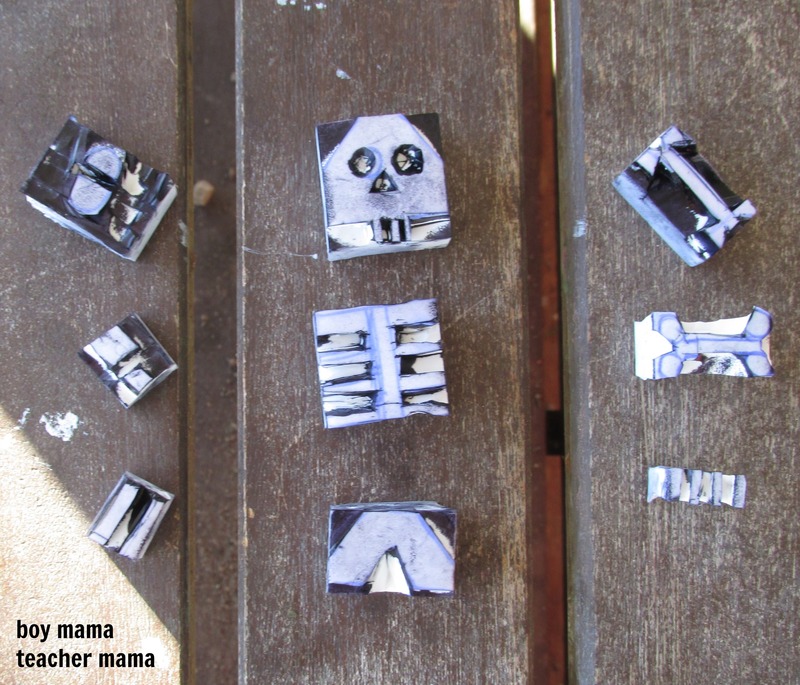 I followed the directions for creating the stamps on the website and created our own set of skeleton bones stamps. It was not nearly as hard as I thought it would be, but I was so excited to try them out that I rushed a bit. My boys were also chomping at the bit to try them out! 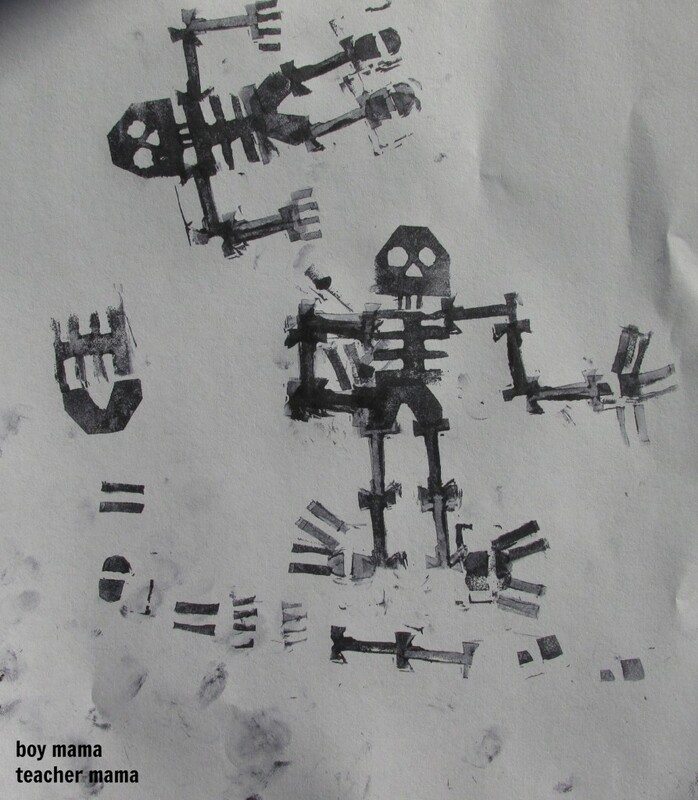 Once the stamps were done, we had a great time trying them out. 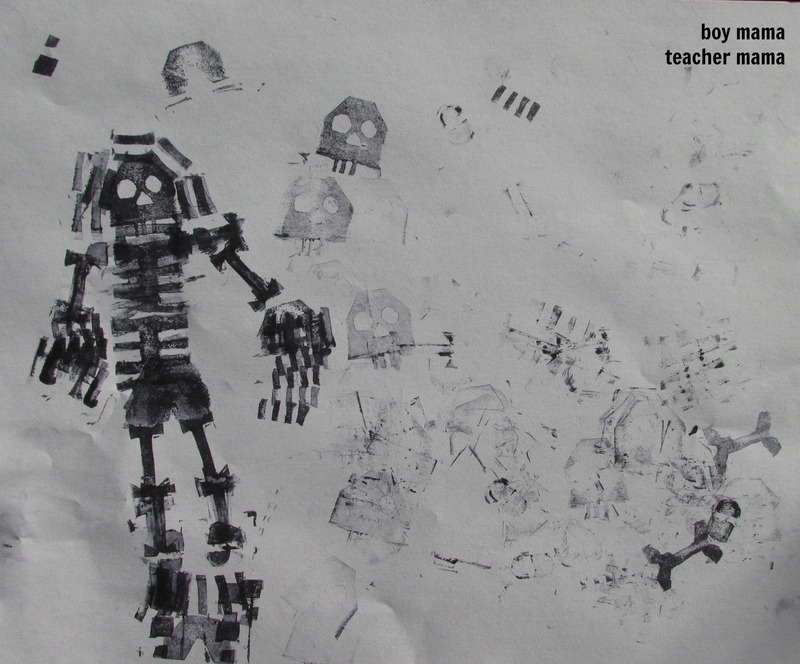 Here are a few pictures my 4 and 7 year old made. I plan to take the stamps to school tomorrow to share with my first graders. I cannot wait to see what they come up with! Thank you to Mr Printables for the idea!!! SUper cute! I’m already envisioning other themes that could be made. I might try a turkey with feathers.